List IV contains important information for the mariner in relation to radiocommunications, including the GMDSS (Global Maritime Distress and Safety System). Detailed information such as the frequencies for transmitting and receiving, in addition to geographical coordinates, is provided for maritime coast radio stations, including those assuming watch-keeping using digital selective calling (DSC) techniques and radiotelephony. List IV also supplies details of additional services such as medical advice, navigational and meteorological warnings, MSI (Maritime Safety Information), AIS (Automatic Identification System), meteorological bulletins and radio time signals, along with the hours of service and operational frequencies, information on port stations, pilot stations, coast Earth stations, VTS stations, contact information of RCC (Rescue Coordination Centers), SAR agencies, Navarea coordinators and AtoNs (AIS Aids to Navigation). 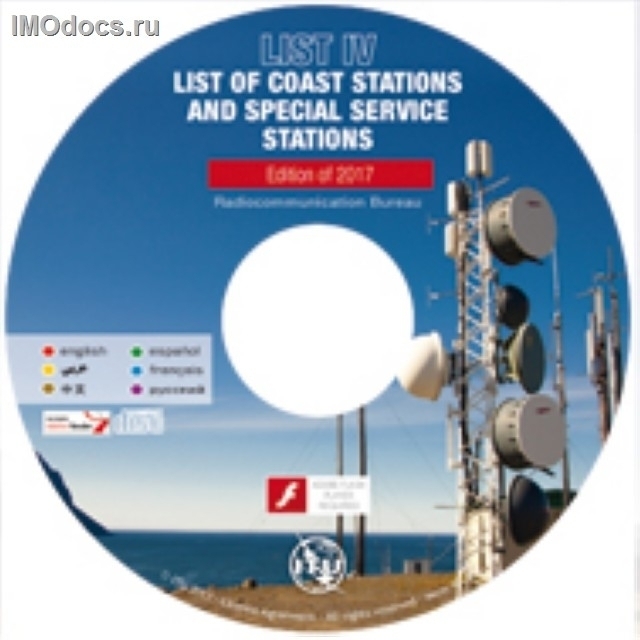 A compilation of amendments to the ITU coast stations database since the latest edition of the List of Coast Stations and Special Service Stations can be downloaded from the link(s) given in the table below. These compilations are published for information only and the carriage on board ships applicable to LIST IV is not required (ref. Appendix 16 of the Radio Regulations).